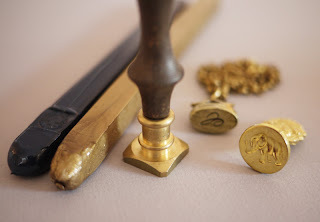 I love sealing wax. I love the way it smells while you melt it, the way it oozes onto the envelope, the way the seal pops free as the wax hardens. Of course what I love best is receiving a sealed letter in the mail because it is a sure sign that it was sent with... love! Here is a beautiful tutorial on how to seal a letter the old fashioned way from our friends at Honestly...WTF.